The 14 annual Tour De Bump was held in Garnet, KS with mild to warm temperatures and very little wind. The off-road duathlon consisted of a 2 mile xc run, followed by a 12 mile mountain bike and ending with a 2 mile xc run with most of course in deep, wet grass. 41 people compteted in the individual class...five of those being women. There were 3 mens team and one mixed. Damian Almanza was the overall men's champion with a time of 1:21:55. Second place oveall was Mike Classen with a time of 1:24:39 making it a 1,2 for Bikes and Boards Racing. In addition Mike was first in the 40-49 age group putting him nearly 4 min ahead of second place for that age category. The women's champion was Angela Redfern from Emporia, KS with a time of 1:39:28 followed by Michelle Joest, from Lawerence, KS with a time of 1:51:00. 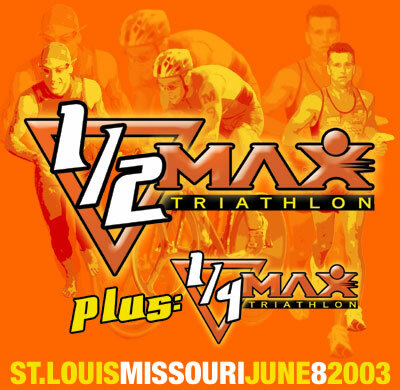 UltraMax Triathlon Lake of the Ozarks, Missouri - 2.4 Mile Swim, 112 Mile Bike, 26.2 Mile Run. Belgium's Wim DeDoncker was the class of the field at Saturdays triathlon - finishing in a time of 10:13. Second place finisher Hal McKelvy, Lakewood, CO was not able to match Wim's running pace and finished just over 17 min. behind. Using her home field advantage, Amy Livesay out rode second place finisher Lizzie Sloan to finish in 11:39....BBRT's Chris Locke had to overcome some serious stomach/nausea problems to complete his 4th Ironman distance event. Not able to eat anything since the 40 mile mark of the bike, Chris was a "walking dead man" during the run portion - finishing well off the pace with a 15:42....John Desjardin just beat the cut-off time of 17 hours and was rewarded the elusive Last Finisher Award. Tall Oak Challenge Recent rains made the Binder Lake course a real challenge. In the Sport 30 - 39 Male class BBRT member John Oberrieder found this out by going down hard in a particular nasty section. John did well to work his way back up to 6th place. Damian Almanza continued to pad his points lead by placing 2nd and looks like he will win the series title...In the Single Speed class Dan Fuhrmann used his local track knowledge to edge out (more like whip up on...)the SS points leader Chris Locke. The final round of the MWFT will take place October 26th. Velotek Grand Prix The Warren Middle School course provided for some fast racing. Weather was near perfect, except for a strong wind which made the racing hard. A few BBRT members were on hand including Ed Noll, Mike Taylor and Ryan Halloran.....Ed continued his good form and took 3rd in the Cat 3's.... Ryan looks to be recovered from this accident. Good to see him out there. Round 11 of the Midwest Fat Tire series, the Kansas City Cup was help Sunday at Landahl Park in Blue Springs. With the recent heat wave Sundays race was indead a challenge.... Chris Locke took top honors in the Single Speed class and extended his points lead. Damian Almanza finished a strong second in the Sport 30 - 39 class. With two rounds to go, both look like they are headed to series championships. John Oberrieder moved into 3rd place in the Sport 30 - 39 class with consistent finishes - another BBRT member on the podium. Mike Taylor battled the Sport 20 - 29 class...full results coming soon. Two things are HOT in the Midwest: The weather and Jill Thole. 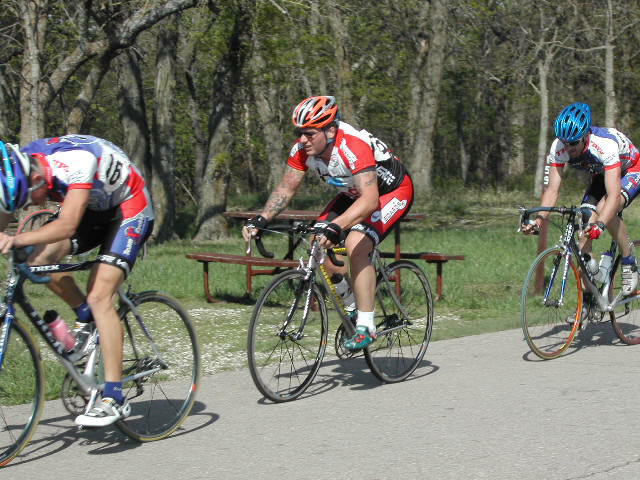 Jill made the trek down on Sunday to Pittsburg, Kansas for the Tailwind Cyclist Criterium. 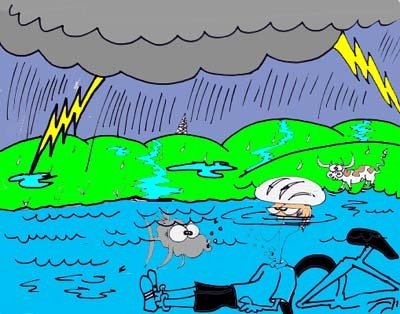 This was bad news for all the women as Jill won both the Womens Cat 4 & Open class. Josh Taylor aslo made the podium with a strong 2nd place showing. Only the strongest riders were able to succeed on this day with temps in the 100's and the BBRT showed their strength on this hot day. Over 130 kids come out on July 27 to compete in this challenging event. The TriKC club and Jackson Country Parks & Rec teamed up to bring our children this fantastic event. Kids from has young as 7 years old completed a 100 yard swim, 3 mile bike and a 1 mile run. The older kids up to 14 years old doubled the distance to make this event a challenge for all. BBRT junior member Christopher Locke did very well on the bike & run after a rough swim. He worked his way up to 9th place in the 7 - 8 year old class. "If you teach me how to swim I will have a chance to win", said Christopher while cooling down after the event. No comment from the father. 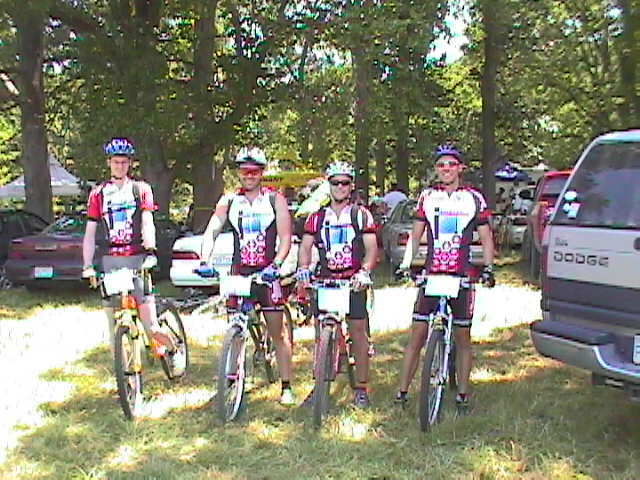 BBRT member Gerard Arantowicz finished the Wilderness 101 MTB race with a time of 13 hours 16 min. At the 50 miles mark Gerard ran into some bad luck and broke a chain. After scavenging for parts, he continuted on his epic journey. Sitting in the saddle for over 13 hours is very hard ( I know from experience) and when you have mechanical trouble it only makes it worse. Congrats to Gerard on doing so well. Click on the pic for full results and a the story on this epic adventure. The Show-Me-State Games opened this weekend....the games started with Fridays' opening ceremonies featuring fromer heavey weight boxing champion George Forman...Sunday featured the Triathlon and Mountain Bike races. In the Triathlon, Chris Locke place very well with a 4th place. Race Results He then went on to race the MTB event - which was not a very good idea given the high temps.... Damian Almanza and John Oberrieder took 4th & 8th place respectivley in the Sport 30 - 39 Male class. Chris survived with a 3rd place finish in the single speed class. Hit "Refresh" to get page. Mercy Celebrity Classic Criterium Team Bikes & Boards made the trip down to Fort Smith AR to compete in this National Racing Calendar event. The course was very flat and fun which made for some fast racing....Team results: Jill Thole placed 6th in the womens Cat 3 class. Mike Turner won a prem lap and ended up 20th in the Cat 4 class. Ed Noll raced in both the 3/4 and Pro 1/2 placing 13th in the 3/4 class. Ryan Hallaran placed 7th in the 3/4 class.......Octoginta TT results: Rob Prevost places 4th in the Men's 35+ class. Tour de Lizard Held down in Arkansas City at the Horizon Camp, the 2nd Annual Tour De Lizard again offered some great racing. Put together a great venue, jammin tunes, food, plenty of camping and you have a great weekend.....Our own Mike Classen make the trip down payoff big time. Mike had one of his best races ever and won the Sport 40 - 49 class by over 3 min. Mike has dominated the Sport 40 - 49 class this year and hopes to move up to the Vet Expert class soon. Click on the lizard for full results. Night Race Finale Last night's Night Race was a blast. Thanks to Lyle for taking the lead and clearing the spider webs. Those spiders are quick builders. I also wanted to thank everyone who have supported me through my recentpersonal crisis. I will most likely be moving soon, and throwing amoving party at the end of the month. 6 years worth of accumulatedalcohol will be served. Thanks to all who helped with the series. Runner Damian Almanza stormed the trails of Clinton Lake State Park to win the first Biker/Runner Grudge Match of the year. Under sweltering hot conditions and extremelytechnical trails, Damian clocked a 26:17 time for the 4.4 mile course, averagingmid 6 minute mile timechecks. Erik Nelson stayed with Damian for most of the race, but was out-kicked at the end. The bikers were not able show up the runnerstonight, but Mark Schraad rode strong to come in 3rd ahead of Craig Myers- Arenth and William Flores. William padded his lead in the overall series. Next Tuesday is the Clinton Lake Blue Trail Time Trial. The runners won the team competition with 45 points to the biker's 36. 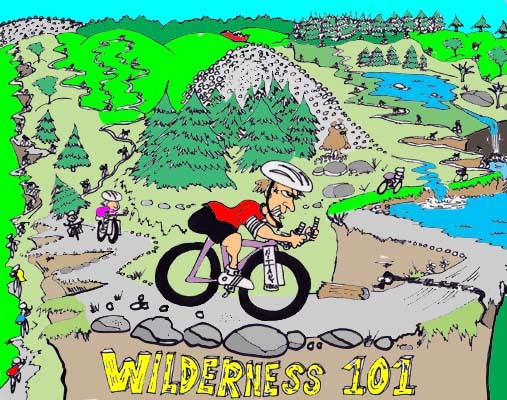 Mountain Bike Madness: On Saturday was the final round of the Heartland MTB Series. Mike Classen was able to win the final round which gave him enough points to be crowned Sport 40 - 49 Male Champion. Christopher Locke edged out his number 2 rivel on Saturday to become the Kids 8 & under Champion. Chris Locke fought back from a mechanical to earn 3rd place in the very competitive Sport 30 - 39 class....On Sunday the MWFT #10 was held. Damian outclassed the field to win with ease. Mr. Locke took out his frustrations on the single speeders and easily won that division. All in all a great weekend for the Bikes & Boards Racing Team. Noll sets course record - 162mph! Yes on a two wheel vehicle, but not the type you pedal. During Wednesdays "Grudge", held at Kansas City International Raceway, Ed Noll set a track record for the 1/4 mile @ 162mph . Thats the good news. The bad news is Ed had a little accident on another attempt at the record and crashed. Ed should be back on the bike in a few weeks. Hopefully he will be back for the Tour of Kansas City. Noll Wins Hanscom Park Criterium. Ed Noll and Andrew Chocha made the trip to Nebraska payoff by winning the Masters 30+ class. Ed showed what he can do - finally getting help from Andrew Chocha. Andrew worked hard over the .7 mile course allowing Ed to take the leadout for the win.